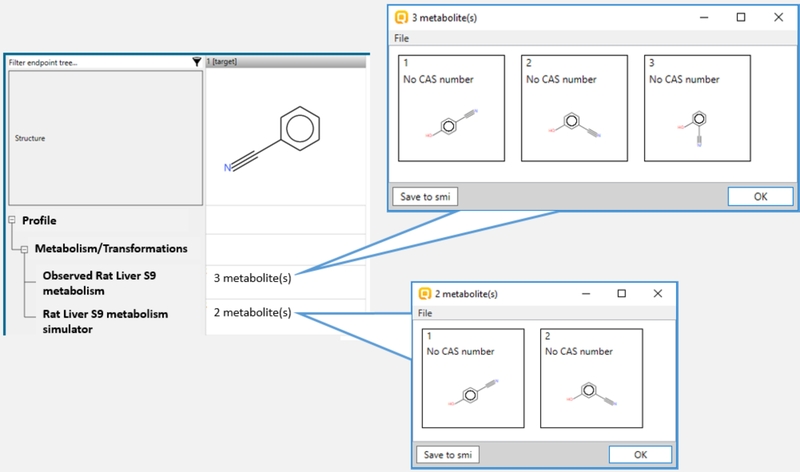 Retrieve information for target chemical(s) – structure characterization (functional groups, chemical elements, etc.) of the target or known mechanisms of action (alerts) associated with a specific functionality in the target structure. Mechanistic justification for the identified alerts is provided. Simulate metabolism – by using of the available metabolic simulators one could check are there any documented or simulated metabolites or hydrolysis products of the target chemical(s). The documented metabolic maps could be also seen in Toolbox. 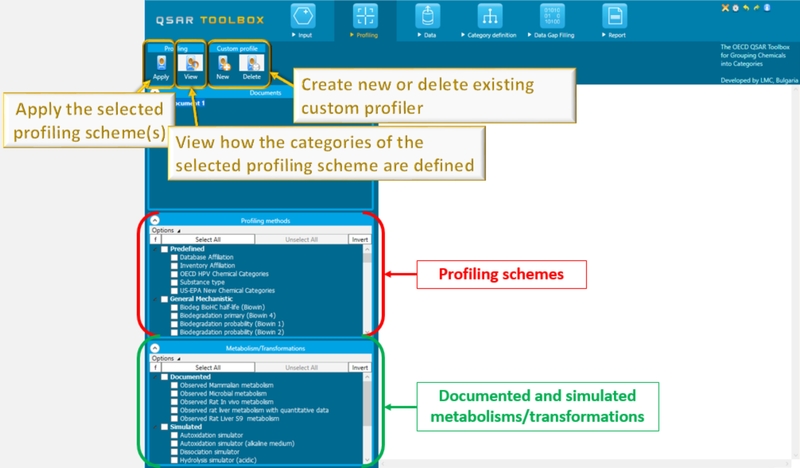 Create a profiling scheme with their own knowledge– simple or decision-tree type profiling schemes could be created based on external documented or expert knowledge. The custom profilers could be also used for specific searches in the databases, e.g. searching for precursors of a target chemical (i.e. chemicals that produce the target chemical as a metabolite). Note: The profilers are not (Q)SAR models. Hence, the profiling results are not a predictions and should not be used as such. The (Q)SAR models are available within the Data Gap Filling module.